Abstract: Since the sixties, we have witnessed the proliferation of literary forms which seek to harness reality by assembling documents. 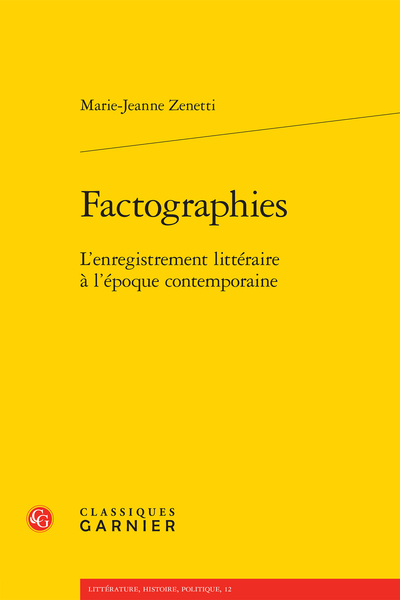 These “factographies” have created a literature of the “record”, which abandons narrative for the sake of alternative ways of writing the real. The thesis which this work is based on was awarded the Prix Louis-Forest from the Chancellerie des universités de Paris.